It is nice to see another international cosmetics brand expanding in India. I'm hoping for a domino effect, coz I wish a lot more makeup brands would do the same. I really like the look of the stores- very MAC-like, but cozier. 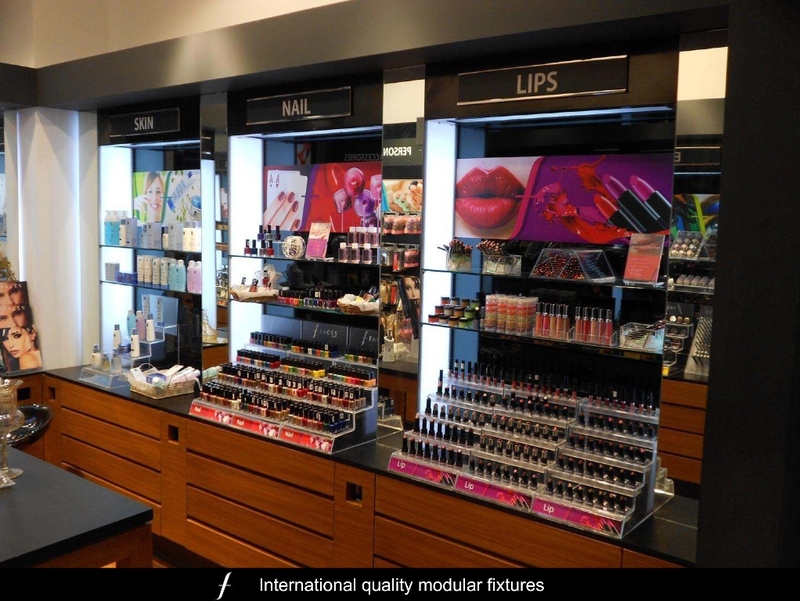 With ambitious growth plan ahead, internationally acclaimed makeup, skincare and personal accessories brand from Canada FACES COSMETICS is all set to storm Mumbai & NCR. After the stupendous success across the length and breadth of India, the brand is all set to launch four more exclusive outlets. Opening exclusively at Crown Interio mall and Pacific mall in NCR and Infinity II and Phoenix Mall (Lower Parel) in Mumbai. 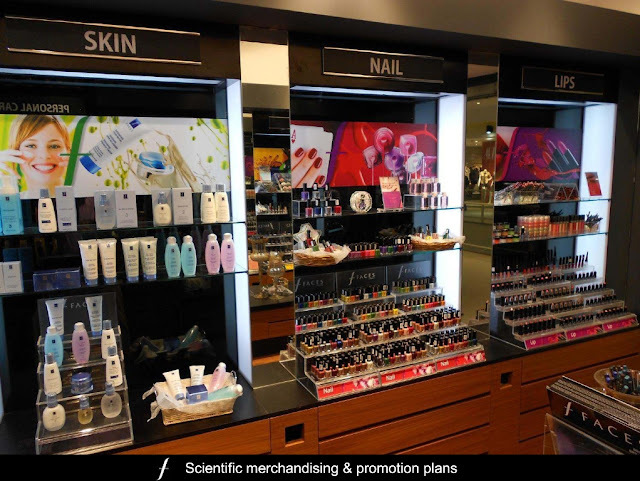 FACES Cosmetics stores across the globe celebrate vanity and beauty through offering a wide range of internationally acclaimed makeup, skincare and beauty accessory products. Exciting promotions, free make-overs, trend spotting, beauty advice, the latest looks, it’s all in here! Sameer Prasad CEO, FACES Cosmetics, stated, “I am delighted with the interest shown by the Indian consumers in FACES. Our aim is to establish FACES as one of India’s leading beauty expert brands, with an International heritage and values, and a desire to present an inspiring vision of individual beauty, through retail stores across India. The simultaneous launch of exclusive outlets in NCR and Mumbai sets the tone for our ambitious expansion plans in India. FACES has already been making a splash across most major cities in India, with five signature stores and ten exclusive mall kiosks in operations. In fact the bang-on-trend FACES colour cosmetics range is also available in 176 traditional trade outlets. And over 3500 outlets stock the grooming must-haves from FACES, the range of personal care accessories. The brand with a more than 40 year old heritage and expertise in the Colour cosmetics business globally, has aggressively expanded the width of its product offering in India to over 800 stunning products. Canadian based company and I've not heard of them at all. I feel slightly ashamed of myself lol. Will need to check them out. Thanks for the post. whoa!! i love everything already!! so pretty! Wow! I think I might faint with over-excitement if i'm ever in the store! Thanks for sharing the pictures..